Engineering sales of industrial duty plug blowers / large commercial heat fans and high temperature plug ventilators. Supply of OEM high temperature oven blowers, plug fans, ventilators wheels, high pressure blower impeller blades. Plug fans are usually high temperature ventilators that are built without housing. These type of fans are use in many air gas circulating applications in the commercial and industrial sector, such as HVAC installations, ovens, spray booths, dryers, and kilns. Suppliers of cool air blowers, high volume air ventilators, air blower motors, pneumatic blowers, compressed air blowers, suction pressure blowers, air blower compressores, high pressure axial fans, propeller fans, axial prop fans, industrial fan motors, big industrial fans, large industrial ventilators, industrial blower systems, explosion proof ventilation fans, rooftop fans and ventilators, shop fans, building ventilation fans. 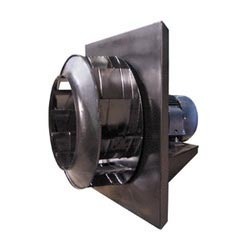 Canada Blower CPG plug fan can be used for air circulation in a variety of commercial and industrial air moving applications including air curtains, air heaters, ceiling, wall and floor panel plenums, degreasers, dryers, dust collectors evaporators, freezers, kilns, ovens, packaged air handlers, parts washers, penthouses, smoke houses, space heaters, spray booths, and other high temperature fan applications ventilating.com fanblower.com highpressureblower.net industrialblowerfan.com industrialfanblower.net industrialfanblower.com pressureblower.net northernindustrialsupplycompany.com industrialpressureblower.com tenderall.com chicagoblowercanada.com cbblower.com buffaloblower.com buffalofan.com nis-co.com canadianblower.com olegsystems.com canadablower.com abbblower.com acmefan.net industrialblower.net fansandblowers.net americanblower.net barryfan.com cincinnatifan.net canadafans.com barryfan.net pennbarry.net pennfan.net tcffan.com.